These “Information Pages” are to provide suggestions for some additional information on certain subjects referenced in First Weber’s Notice to Buyers & Sellers and in other materials. First Weber advises that all parties research issues that are material to them. The information on these pages is no substitute for your own independent research and does not necessarily apply to your specific transaction or situation. Of course, the information referenced here, or the sources of possible information cited here, do not cover all potential issues of interest to buyers and sellers of real estate. Nor can or do we guarantee that the information or sources are fully accurate or complete; but hopefully this may provide some assistance in your own research if the issues addressed are of interest or importance to you. All parties are advised to independently verify any information material to each of them in a real estate transaction and to directly contact the relevant authorities they may locate relevant to any given matter. This applies to both buyers and sellers who may have questions. Lead can have serious health consequences. Lead used to be used in water pipes and in municipal mains and service lines. It has not been used for decades, but remains in some housing stock and in certain private and municipal water distribution systems throughout Wisconsin. Some communities had more lead pipes used than others and some communities have more information about this than others. 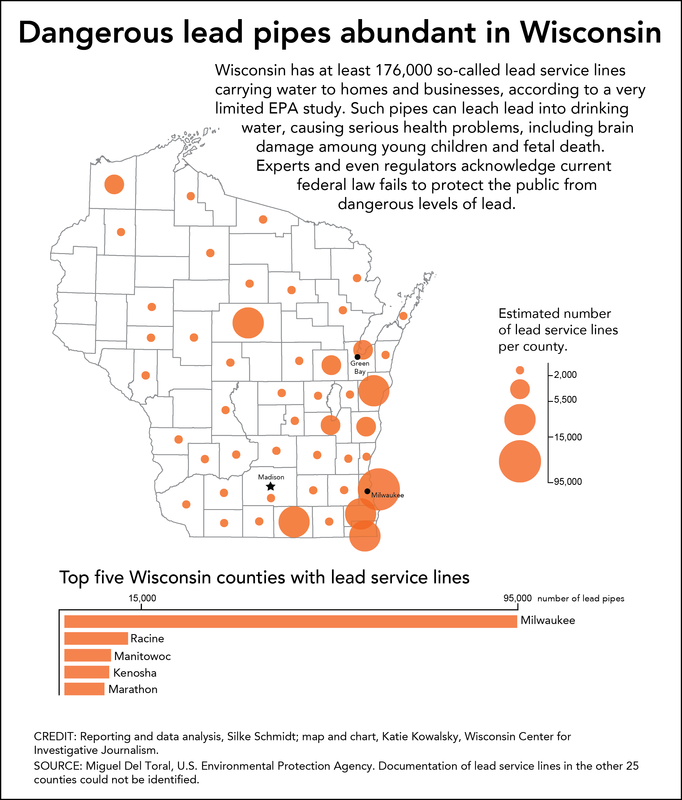 To learn more about lead in drinking water and in pipes, mains, and service lines in a given community, you are advised to contact the Wisconsin Department of Natural Resources and the local municipality. There are also many other sources of information online and otherwise available. 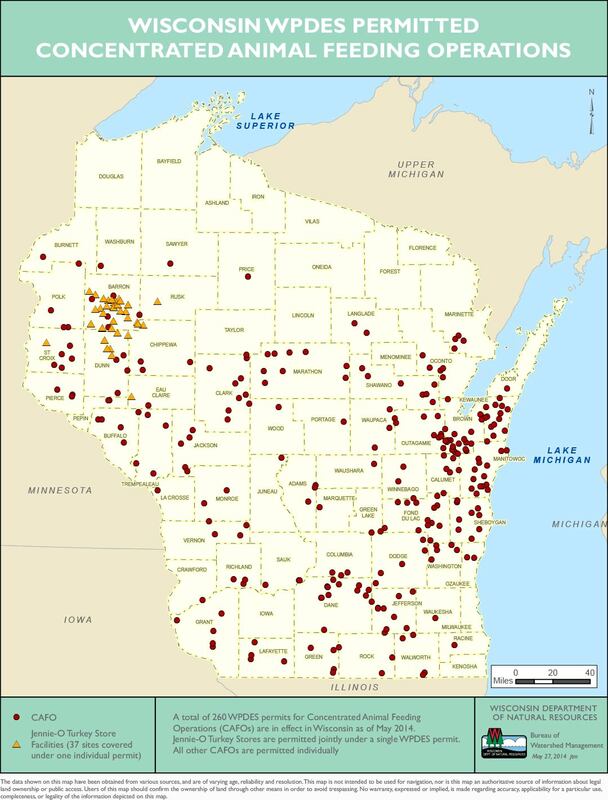 Below is a map showing general concentrations of lead piping and various Wisconsin counties. We recommend that you contact the DNR and the specific community officials with questions. 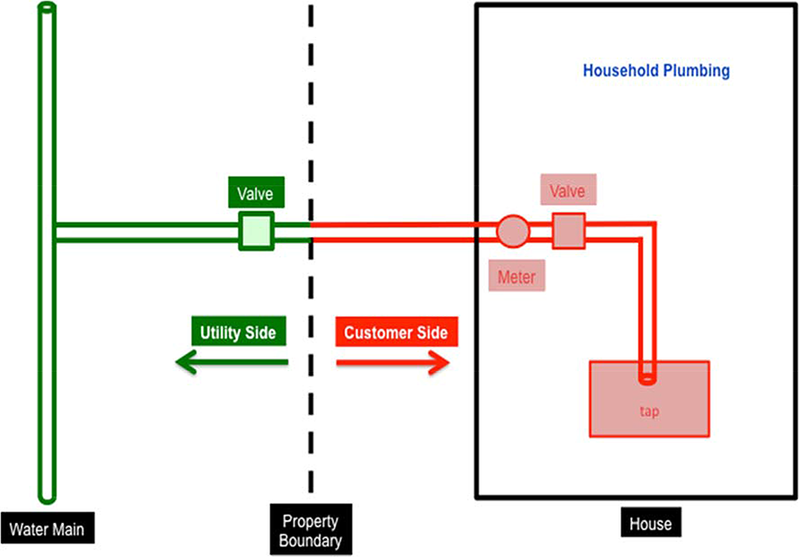 Below is a diagram showing, roughly, the typical lateral service line and the respective ownership, between private and public, in the distribution system. There may be certain grants available to be applied toward replacement of lead pipes and service lines, depending upon the community and the situation. Some communities have also replaced public and private service lines together, because there can be an increase in lead exposure if the lines are only partly replaced. Source: Web Report, “Controlling Lead in Drinking Water,” Water Research Foundation/American Water Works Association, 2015. Below are the websites of some communities or local utilities in areas that have posted information about lead in the area pipes and service lines. The list below is not exhaustive, or necessarily updated. We recommend that you check directly with each individual community you may be considering to see what information it may have or if they can direct you to for further information. The natural features in and around our properties, and in our landscaping, are important to all of us. Unfortunately, from time to time, there are threats to certain features, including pest and disease issues. First Weber recommends that if you are a home owner or buying a home that you research the condition of the natural environment in your community. For individual counties and communities, it is recommended that you contact the specific municipalities you may be interested in, as well as the County UW-Extension office in each area. Wisconsin’s agriculture businesses contribute nearly $60 billion to our state economy. The size and structure of Wisconsin agriculture, both cropland and livestock, has changed enormously in the past few decades. In the past few decades Wisconsin, like all states in this area, has seen the development of larger, consolidated operations, particularly in livestock and dairy operations. This includes creation of many larger, concentrated operations known as “concentrated animal feeding operations” or CAFOs. CAFOs has been defined as those operations that have 1,000 animals or more, or certain smaller operations that may risk pollutant discharge into navigable waters or wells. Wisconsin agricultural operations are subject to governmental regulation and various permitting requirements. Primary responsibility for regulation and permitting of CAFOs in Wisconsin is handled by the Wisconsin Department of Natural Resources (DNR). These regulations address potential issues such as risk of pollutant discharge from manure and runoff. The water quality protection regulations and permits are intended to ensure farms use proper planning, nutrient management, and structures and systems construction to protect Wisconsin waters. 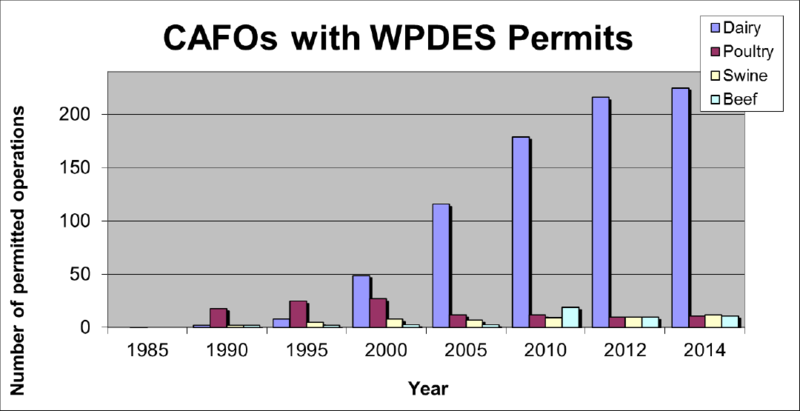 Below is a map from the DNR website of WPDES (Wisconsin Pollutant Discharge Elimination System) permitted CAFO locations and a graph showing the types of operations and their growth since 1985. For more information, please contact the DNR and local governmental officials in any area that may be of interest to you. Buyers or sellers interested in learning more about such issues should consult the DNR and county officials in any specific area in which you may have interest. These Information Pages are intended for a reference to assist in locating potentially material information on various subjects that may be of interest to you, but are not a substitute for your own independent inquiry. There is no attempt here to cover all subjects that may be relevant to real estate sales or purchases. Some website links are provided. Although operable at the time of posting, please understand we are not responsible for the content or security of those sites or for the information they may contain. The links included here were believed operable when posted but may change over time. On all such issues, we recommend that you perform the search directly with the websites material to your inquiry and contact the authorities directly working in the area of interest to you. Hopefully this page will assist. For most of these subjects you may contact the local municipality and the State governmental authorities directly, such as the Wisconsin Department of Natural Resources. They should be able to answer your questions or direct you further.